Sixteen SLFP members, who supported the No-Confidence Motion against the Prime Minister, have requested that they be allocated seats with the opposition side in Parliament. The letter was handed over to Parliament Secretary General Dhammika Dasanayake yesterday morning. Former State Minister Lakshman Yapa Abeywardena told the Daily News that nine MPs submitted the letter to the Secretary General at the Parliamentary Complex on behalf of all 16 MPs. He said they would sit in the Opposition benches on May 8 as Parliament meets for the Policy Statement of President Maithripala Sirisena. “We will not stage a cross over in the well of the House. We will take our seats in the Opposition when sittings begin,” he said. Susantha Punchinilame, Lakshman Yapa Abeywardena, Anuradha Jayaratne, Sumedha Jayasena and T.B. Ekanayake as well as Deputy Speaker Thilanga Sumathipala. However, the SLFP group of 16 has stated that they would not join with the Joint Opposition, but remain as an independent group in Parliament. The composition of Government and Opposition in the Second Session of Eighth Parliament will change with this move. Parliament officials said they were not in a position to exactly say the head count of Government and Opposition as at present because the lines are blurred. According to rough calculations, the number of Government MPs will be 131 while 93 MPs will be in the Opposition benches. 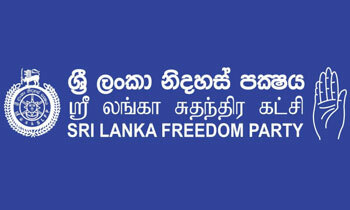 The SLFP members in the Government ranks will come down from 41 to 25.